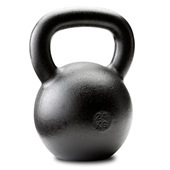 Since Pavel and Dragon Door launched the world's first-ever kettlebell instructor certification program in 2001, the classic RKC program has become the gold standard, now with over 1,500 certified instructors in over 43 countries. 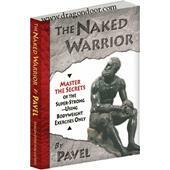 Currently there is no entry-level kettlebell certification program that addresses these folk with the kind of quality and standards Dragon Door and Pavel have become famous for. 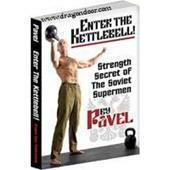 In creating the HKC, Pavel drew on his eight-plus years of developing the current Level I and Level II RKC programs, his authoring of the widely acclaimed Enter the Kettlebell! 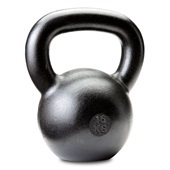 system and other kettlebell training resources, plus thousand of hours of personal discussion and research with high-level training experts of all kinds. 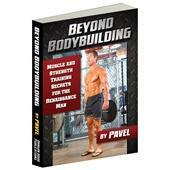 With his deep skill at identifying what is truly essential for effective kettlebell training, Pavel has created, with the HKC, an opportunity to build a superb and rock-solid foundation as a kettlebell professional. As with the RKC, the HKC will be earned through diligent testing of each candidate. Besides having to pass the requisite pullup/flexed-arm hang test at the outset of the workshop, each HKC candidate will be evaluated for technical proficiency and teaching skills at the end of the workshop and will then be granted either a pass or fail. The test is based on the US Marine Corps'. 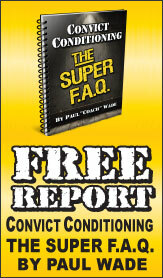 The requirements are 5 pullups or chinups for men and a 15sec flexed-arm hang for women. (1) Sweatshirts will be removed during the conduct of the pullup/chinup event in order to observe the lockout of the elbows with each repetition. (2) Assistance to the bar with a step up, being lifted up, or jumping up is authorized. Any assistance up to the bar will not be used to continue into the first pullup/chinup. (3) The bar must be grasped with both palms facing either forward or to the rear. (4) The correct starting position begins when the student's arms are fully extended beneath the bar, feet are free from touching the ground or any bar mounting assist, and the body is motionless. (5) The student's legs may be positioned in a straight or bent position, but may not be raised above the waist. (6) One repetition consists of raising the body with the arms until the chin is above the bar, and then lowering the body until the arms are fully extended; repeat the exercise. At no time during the execution of this event can a student rest his chin on the bar. (7) The intent is to execute a vertical "dead hang" pullup/chinup. A certain amount of inherent body movement will occur as the pullup/chinup is executed. 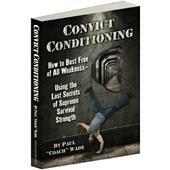 However, the intent is to avoid a pendulum-like motion that enhances the ability to execute the pullup/chinup. Whipping, kicking, kipping of the body or legs, or any leg movement used to assist in the vertical progression of the pullup/chinup is not authorized. If observed, the repetition will not count for score. (8) A repetition will be counted when an accurate and complete pullup is performed. (9) Gloves, chalk, or other grip aids are not allowed. (1) Assistance to the bar with a step up, being lifted up, or jumping up to the start position is authorized. (2) The bar must be grasped with both palms facing either forward or to the rear. (3) The correct starting position begins when the student's arms are flexed at the elbow, the chin is held above the bar and not touching it, and the body is motionless. At no time during the execution of this event can a student rest her chin on the bar. (4) The clock stops as soon as the student's chin is no longer above the bar. (5) Gloves, chalk, or other grip aids are not allowed.